-70 miles per hour on interstate highways. -65 miles per hour on state highways outside of urban communities. -30 miles per hour on most urban roads. If you are convicted of speeding 1 to 20 miles per hour over the speed limit, you are facing a maximum fine of $120. If you are convicted of speeding 21 to 25 miles per hour over the speed limit, you will be facing a maximum fine of $140. In addition, you may be required to pay court costs or attend Driver’s Safety School classes online or in person. The amount of the Court costs varies from County to County. The potential sentence will depend on a variety of factors that depend on the specific facts of your case and your driving record. However, if you are charged with speeding 26 to 34 miles per hour over the speed limit, you will be charged with a Class B misdemeanor. A Class B misdemeanor carries a possible penalty of up to six months in county jail and a maximum fine of $1,500. If you are charged with driving 35 miles per hour or more over the speed limit, you will be charged with a Class A misdemeanor. A Class A misdemeanor carries a maximum punishment of up to one year in county jail and a maximum fine of $2,500. In other words, speeding 26 miles per hour or more than the speed limit is an actual crime in Illinois that could land you in jail. In addition to facing a possible jail sentence and hefty fines, you may end up being convicted of a crime. It’s the type of criminal conviction that will show up on a background search and may be used against you by a prospective employer. Since Illinois uses a point system for speeding tickets, you will be assigned points on your license for a conviction. If you accumulate a certain number of points. the Illinois Secretary of State may suspend your Driver’s License for a period of time. For instance, if you have 15 to 44 points on your license, your license may be suspended for 2 months. If you accumulate 100 to 109 points, your license will be suspended for 1 year. If your have 110 points or more on your license, your license may be revoked. A conviction for excessive speeding for a Class A or Class B misdemeanor, may lead to the suspension of your driver’s license, depending on how many points you have accumulated on your license. In a typical speeding ticket case, you may be eligible for Court Supervision. Court supervision is not considered a conviction. If you successfully complete the requirements of your Court Supervision, the speeding ticket will not be used against you to suspend your license. But if you are convicted of excessive speeding you may not be eligible for Court Supervision. Whenever you receive a ticket, the ticket will be reported to the Secretary of State and will appear on your driving record. Even a sentence of Court Supervision will be reported to the Secretary of State and will appear on your driving record whenever anyone looks at it. There is no way to remove any ticket from your Secretary of State driving record. 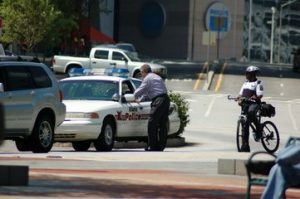 Since the consequences of being charged with excessive speeding can be so severe, it is important that you hire an experienced excessive speeding lawyer who understands the law and has the experience to take all the steps necessary to make sure that you are not convicted of a crime and do not have your driver’s license taken away from you. James Dimeas is a nationally-recognized, award-winning, speeding and excessive speeding lawyer. James Dimeas has been handling speeding and excessive speeding cases throughout Cook County, Chicago, DuPage County, Kane County, and Lake County for over 25 years. Recently, the American Society of Legal Advocates named James Dimeas a “Top 100 Criminal Defense Lawyer In the State of Illinois For the Year 2018.” The American Institute of Criminal Law Attorneys named James Dimeas a “10 Best Attorney for Client Satisfaction.” James Dimeas was named a “Best DUI Attorney” and a “Best Criminal Defense Lawyer in Chicago” by Expertise. The National Trial Lawyers named James Dimeas a “Top 100 Criminal Defense Lawyer.” The National Academy of Criminal Defense Attorneys awarded James Dimeas the “Top 10 Attorney Award for the State of Illinois.” AVVO rates James Dimeas as “Superb”, the highest rating possible for any speeding and excessive speeding attorney in the United States. If you are charged with speeding or excessive speeding, you can contact James Dimeas anytime for a free and confidential consultation. You can always speak to James Dimeas by calling him at 847-807-7405. Speed Limit on More of I-90 Increased, by James G. Dimeas, Chicago Criminal Lawyer Blog, March 29, 2018. Can I Be Arrested for Speeding, by James G. Dimeas, Chicago Criminal Lawyer Blog, February 27, 2018.